Please read the following terms and conditions. By continuing to access Dublin Bay Cruises’ website, you (the “user”) will be deemed to have accepted these terms and conditions. In the compilation of the website, every care has been taken to ensure accuracy. 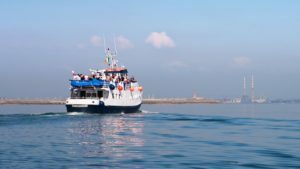 Where errors or omissions are brought to the attention of Dublin Bay Cruises, amendments will be made as speedily as possible. 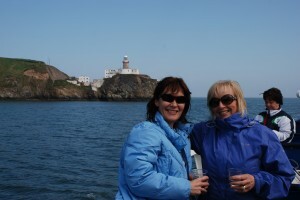 However, Dublin Bay Cruises does not accept any liability to any person in contract or tort or otherwise for direct or consequential loss caused to the user arising from anything contained in this website or for any error or omission in it even if such loss or damage is caused by the negligence of Dublin Bay Cruises or its servants or agents. 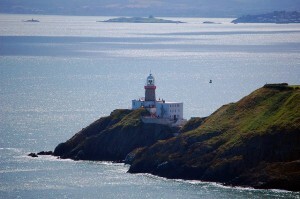 The editorial content of this website is copyright of Dublin Bay Cruises and/or the authors, photographers and illustrators who contribute material to the website, and the user shall not alter or remove any copyright symbol or any other identification or information concerning the authorship or ownership of any of the content of the website. 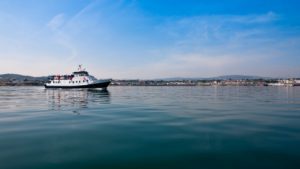 The user will not use or display the name or logo of Dublin Bay Cruises or any similar name or logo or act in any way that would imply that the user is an agent of Dublin Bay Cruises. Certain merchandise and services are available for purchase from the website (“Chargeable Services”). 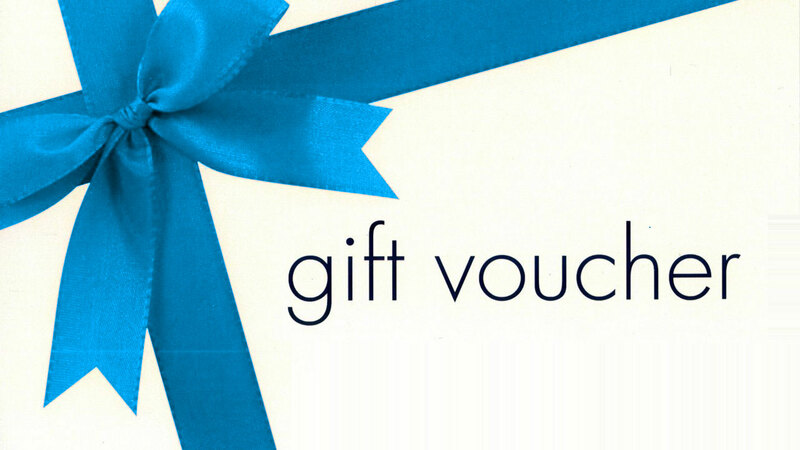 If the user wishes to access these, the user will pay the applicable fee in accordance with the rates and procedures specified by Dublin Bay Cruises from time to time together with any applicable value added tax or any other sales tax payable in relation thereto. 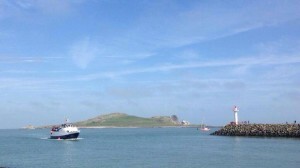 In accessing any of the Chargeable Services, the user shall take all reasonable steps to protect Dublin Bay Cruises data and the Dublin Bay Cruises from access by unauthorised third parties and will use any password or user identification (ID) or user name issued by Dublin Bay Cruises for use in accessing the Chargeable Services. The user accepts that it is responsible for the use of any such security measures and warrants that it will keep any such password, user identification or user name or any other security mechanism or device confidential and will not disclose it to any other person. Some of the goods or services comprised in the Chargeable Services are supplied by third parties and some are supplied direct by Dublin Bay Cruises. As regards those which are supplied by third parties, Dublin Bay Cruises shall have no responsibility to the user in respect of them and gives no warranty as to satisfactory quality, merchantability, fitness for purpose or compliance with any description in relation to them. The terms implied by Section 39 of the Sale of Goods and Supply of Services Act, 1980 of Ireland are hereby excluded from these terms and conditions. Dublin Bay Cruises shall have no liability to the user whether in contract or in tort for any loss suffered by the user resulting from the use of a credit card, debit card or charge card or any modification thereof in order to access the Dublin Bay Cruises service. Dublin Bay Cruises shall have no liability to any person for any injury or loss (including personal injury and consequential loss) suffered while participating in sports or leisure pursuits described or referred to in the Website. The material in the Website is given for information only and Dublin Bay Cruises gives no warranty as to the safety and security of such sports and leisure pursuits or as to the competence of those organising the said sports and leisure pursuits. Clicking on certain links within this website may take the user to other websites and Dublin Bay Cruises shall have no responsibility or liability of any kind for the accuracy or content of any information or any other aspect of any such websites. 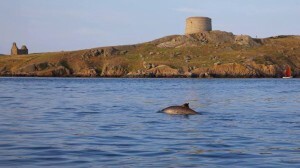 Due to the nature of interactive services and the Internet generally, Dublin Bay Cruises gives no warranty or commitment that the use of the website will be free from interruptions or errors, and Dublin Bay Cruises shall have no responsibility or liability in respect of or arising out of any communication or network defects, breakdown, malfunction, error, delays or failures (whether temporary or otherwise) while using the website. These terms and conditions shall be governed by and construed in accordance with the laws of Ireland (excluding laws governing the conflict of laws) and the parties submit to the jurisdiction of the Irish courts. This will not prevent Dublin Bay Cruises from pursuing a claim for breach of contract, copyright infringement or otherwise in respect of these terms and conditions in any other jurisdiction throughout the world.